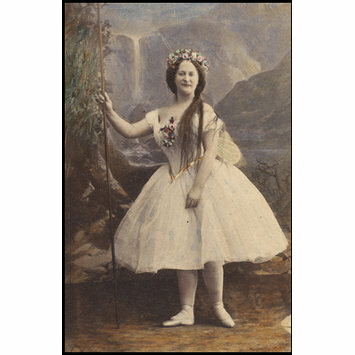 Photograph of Carlotta Leclercq as Titania in A Midsummer Night's Dream at the Princess's Theatre. 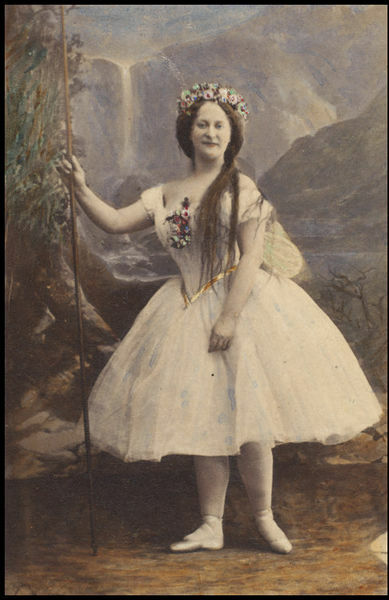 Sepia photograph of Carlotta Leclercq as Titania in A Midsummer Night's Dream at the Princess's Theatre. Picture has been coloured with paint. 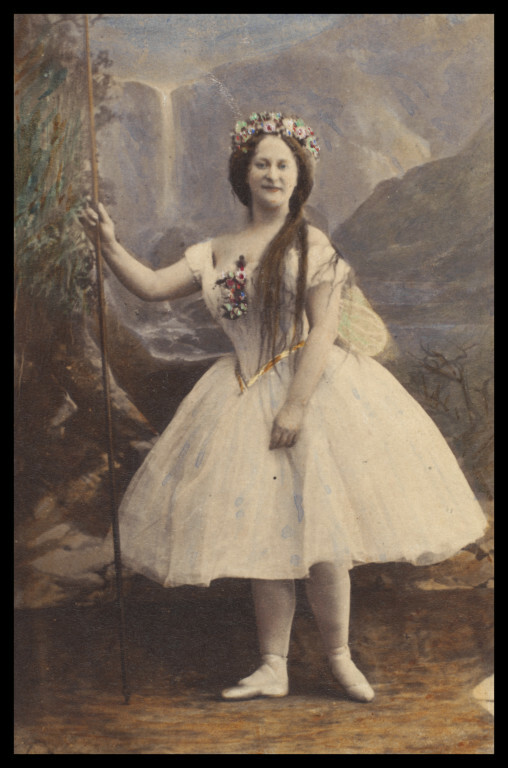 Photograph of Carlotta Leclercq as Titania in A Midsummer Night's Dream, Princess's Theatre. Guy Little Collection.